Frederik May 08, 2016 Comment? Bloody Disgusting has posted a first promotional image for the upcoming “What Happened to Monday?”. The origin of the artwork is not mentioned, as is no release date. The great Willem Dafoe (John Wick, Antichrist) has joined Prometheus star Noomi Rapace and Glenn Close in sci-fi thriller What Happened to Monday?, which was filmed last July at the Castel Film Studios in Bucharest. Dead Snow and Hansel & Gretel: Witch Hunters‘s Tommy Wirkola directed the feature, which is produced by Vendome Pictures and Raffaella Productions and fully financed by SND, which will handle French distribution rights as well as international sales. “Set in a world where families are allowed only one child due to overpopulation, a resourceful set of seven identical sisters must avoid governmental execution and dangerous infighting while investigating the disappearance of one of their own.” Rapace plays all seven sisters, who are named after the days of the week. Close plays the fierce head of the Child Allocation Bureau, Nicolette Cayman. Frederik December 05, 2015 Comment? On December 1st, Noomi Rapace has attended Nyhetsmorgon as a spokesperson for ECPAT. The appearance was in coincidende with ECPAT’s latest public service announcement, narrated by Noomi herself. Both the PSA and the Nyhetsmorgon appearance can be watched in the video archive. Screencaptures can be found in the photo gallery. Frederik September 19, 2015 Comment? 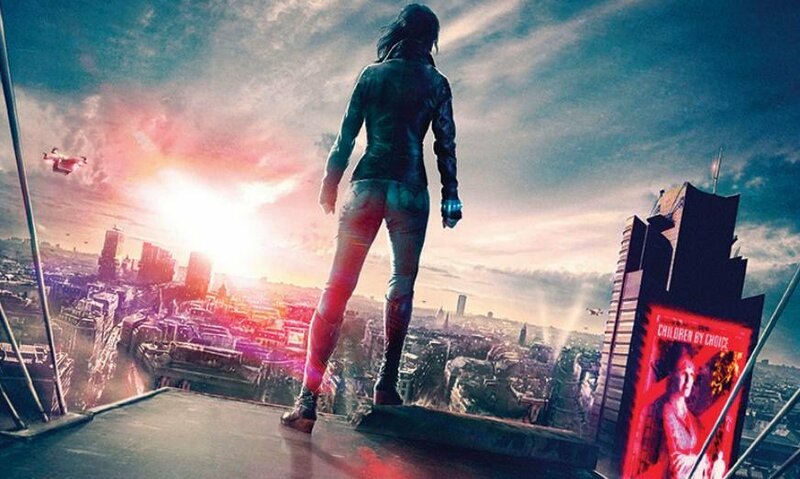 Noomi’s next film is called “What Happened to Monday?”, but any fan’s question these days might rather be what happened to Noomi? She hasn’t been since since the Cannes Film Festival in May, and the answer is simple – work. Exciting for us, exhausting for Noomi, she is currently in Romania playing seven characters in the futuristic thriller by Tommy Wirkola. On Thursday, a press conference was held with the director as well as Noomi and co-stars Willem Dafoe and Clara Read. A news segment from the Romanian TV Neptun can be watched in the video archive, a couple of snapshots have been added to the photo gallery. Many thanks to Marinka for the heads-up! Frederik July 18, 2015 Comment? In the upcoming sci-fi thriller Rupture, Noomi Rapace plays a single mother who is abducted by a mysterious organization that then informs her that humanity is facing an unsettling threat from within. And based on Entertainment Weekly‘s exclusive first look at the film, the organization—made up of co-stars Michael Chiklis, Kerri Bishé, and Ari Millen – appears to do more than just talk to Rapace. Directed by Steven Shainberg, Rupture also stars Peter Stormare and Lesley Manville. Many thanks to Marika for the heads-up. Also, the film’s producer Andrea Iervolino has posted two fabulous on-set pictures on his website.